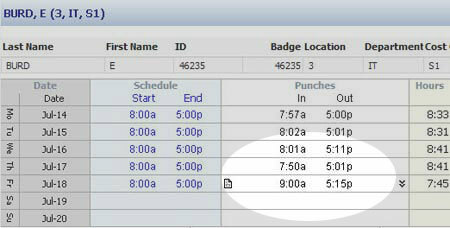 Changes made in the time card instantly recalculate so totals, summaries, and employee data are always accurate. 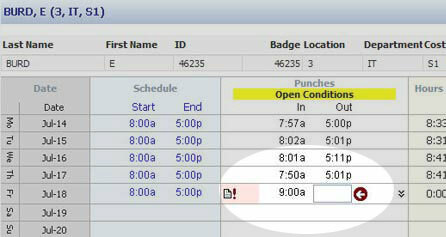 Errors and omissions, called exceptions, are flagged automatically in the time card so you know what needs attention. 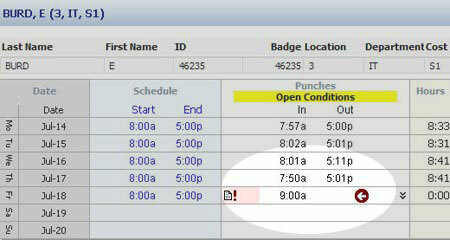 Change punch times and schedules — just click and type. Credit time to the employee. 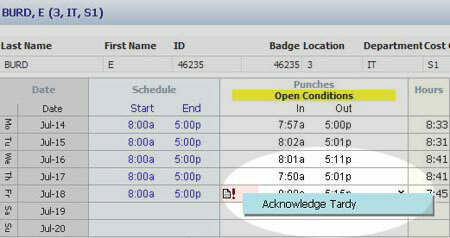 Transfer the employee into another workgroup (department or location, for example).